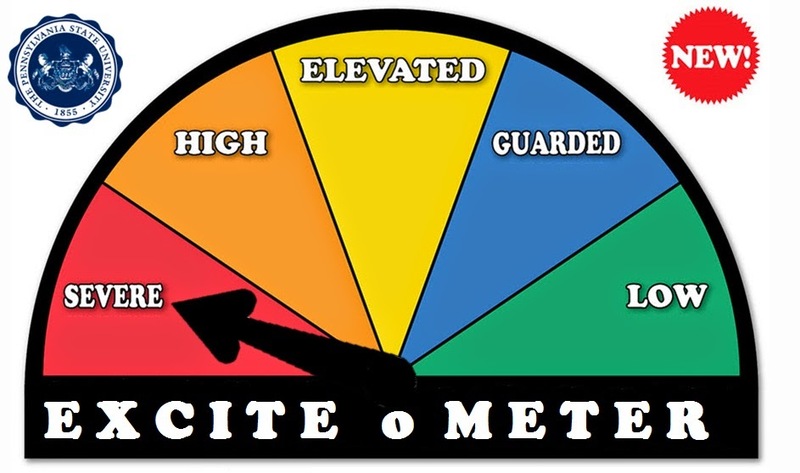 With the lifting of the major NCAA sanctions this week, the fan excite-o-meter has gone from BLUE to SCARLET! Penn State will be footloose and sanction free for the first time since 2011. The betting line is 3 points, with the Lions favored to out-joust the Knights. Penn State leads the all-time series 22-2, with the last meeting being the infamous 59-34 win at Giant Stadium where Mike McQueary audibled late in the game and threw a TD pass that made then head coach Doug Graber feel like Joe was running the score up on him. The Scarlet Knights only wins came in 1988, a 21-16 game during Joe Paterno’s first losing season of his career, and 1918 when Rutgers won 26-3. Hugo Bezdek was the coach and Penn State played 4 games that season, going 1-2-1. This is not the history of a rivalry. Rutgers is 2-0 with a 41-38 win on the road over Washington State and a 38-25 victory over Howard. So what else do we know about this school in New Jersey? Ray Rice graduated from Rutgers. Just throwing that out there. 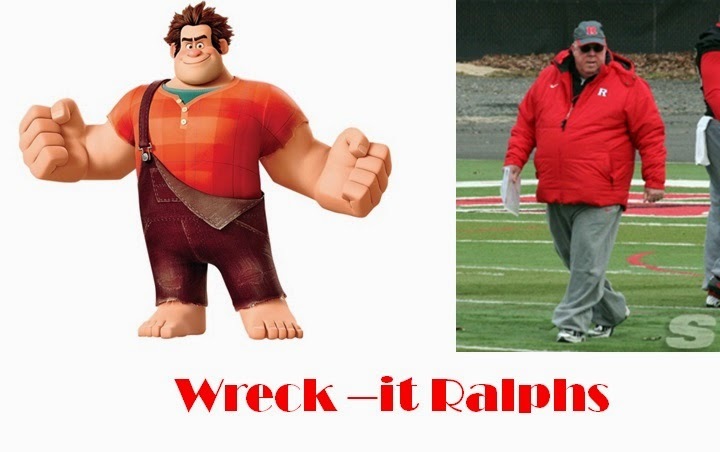 Not Rutgers’ fault. Louis Freeh is a graduate of Rutgers. 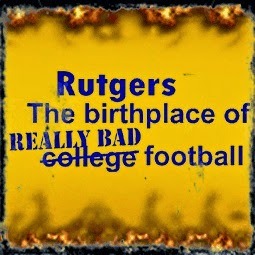 Not Rutgers’ fault. Rutgers was originally chartered as Queen’s College in 1766, making it the eighth oldest college in the United States. The school was renamed Rutgers in 1825 when Colonel Henry Blake Rutgers donated enough money to get the school named after himself. 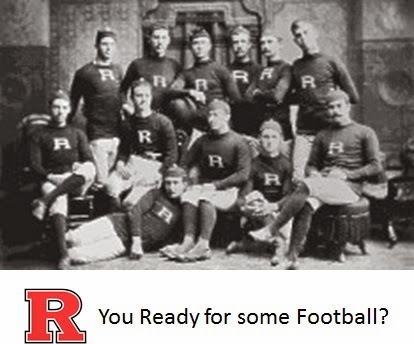 Rutgers is considered the Birthplace of College Football, as the first intercollegiate “football” game was won 6-4 by Rutgers over Princeton in 1869. It was also the first game telegraphed. It reportedly lasted six weeks, when horseback riders were sent out carrying advertisements to the citizens of New Jersey during time outs. This was the birth of the 30-hour time out. This is their first year in the Big Ten conference. I look to see a more focused Penn State team take the field against the Knights. Franklin appears to be a very goal oriented individual, and the Lions now have something to play for. And while a Final Four appearance is highly unlikely, a run at a Big Ten Title could be achievable. Of course, that starts with a W Saturday night in prime time. Unless Rutgers was sandbagging it against WSU and Howard, they do not appear to be defensively capable of holding the Hack Attack at bay. But they are averaging 39.5 points per game themselves. On paper, this could be a high scoring affair, but I suspect the Penn State Defense is the best defense they will face to date. 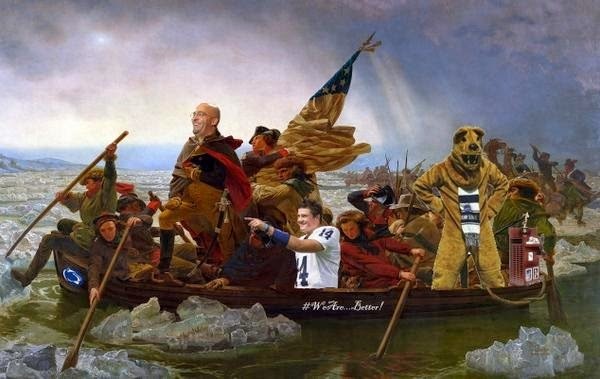 Prediction: Penn State wins . . . 31-17. That’s a BIG 10-4 , Good Buddy! Rumors were circulating last week that Maryland and Rutgers were headed to the Big Ten, bringing the number-challenged misnomer to 14 teams. 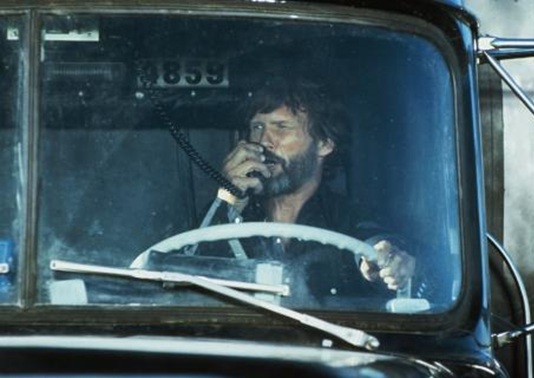 That’s a Ten-Four, in CB language. 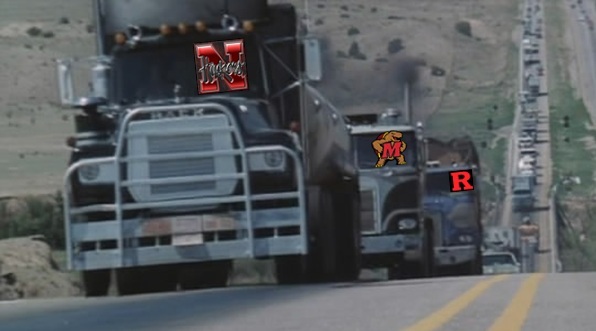 Nebraska heads the convoy. The University of Maryland’s Board of Regents voted Monday to accept an invitation to join the Big Ten and begin competition in the conference in the 2014-15 academic year. Meanwhile, Big East Conference sources told ESPN that Rutgers will be announced as the 14th member of the Big Ten on Tuesday. 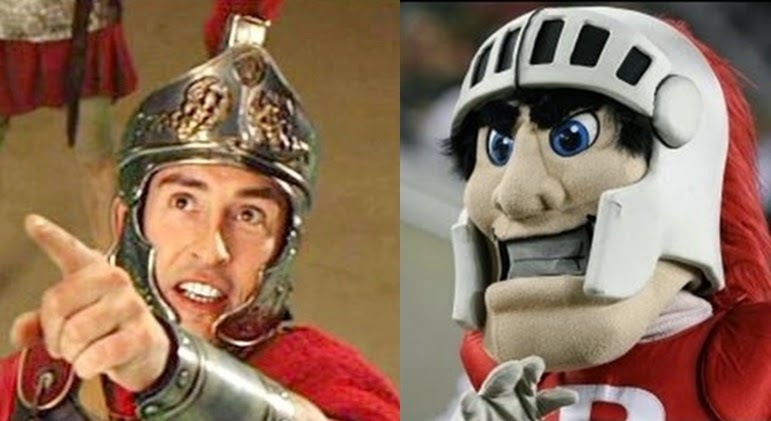 Apparently playing second fiddle to Ohio State and THEM along with piss poor refereeing is in the strategeric interests of these fine eastern academic institutions. I wonder if the welcoming package includes a case of K-Y Jelly? No seriously. The Big Ten is wonderful. Who needs to be bothered with pesky holding calls or chop blocks anyway? It’s all about the money. Rutgers . . . Maryland . . . come on down! Maryland probably sees this as a way to maybe keep all the good recruits from going to Penn State. Good luck with that. 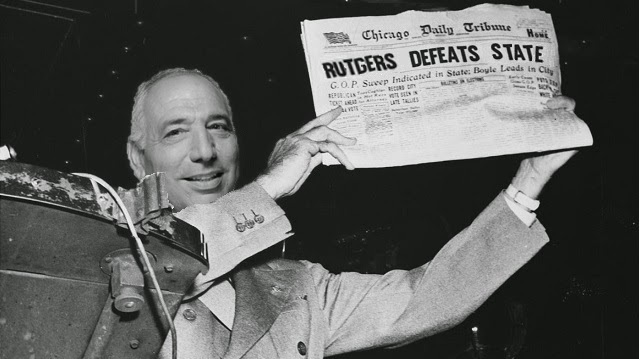 And now we get to play Rutgers every year! It just keeps getting better and better!